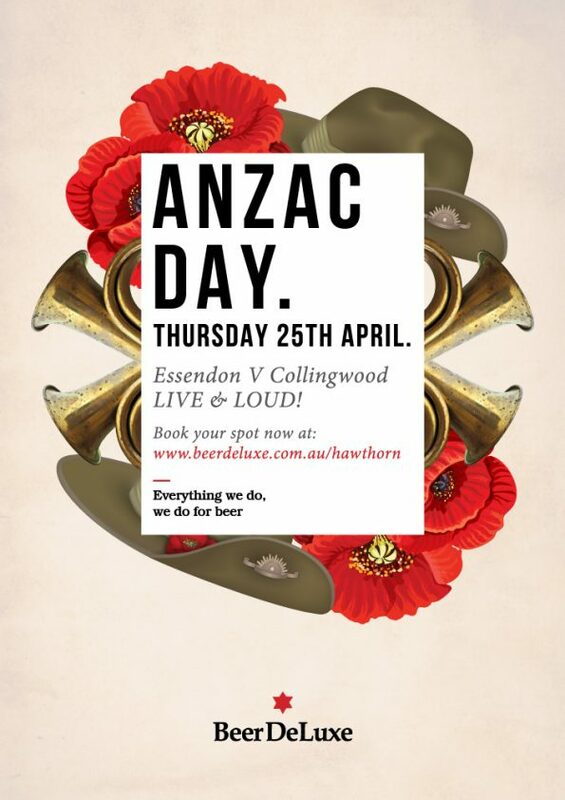 Don’t miss a moment of the footy clash this ANZAC Day! Catch all the action LIVE & LOUD from the MCG across our big screens. LIVE from 2pm, first bounce 3:20pm. Want a $10 burger & $10 pint throughout the game? CLICK HERE to find out how you can get this EPIC deal.